In November we invited over to Shanghai one of our favourite crew in Asia, Bangkok’s Dubway crew! 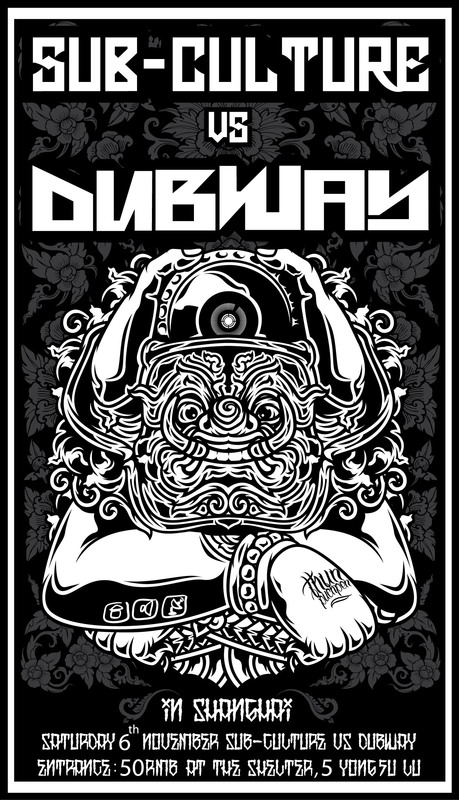 Headed by DJ Dragon, Dubway have been pushing heavy beats and bass in Thailand for a good few years now, and it was a really good time having them over here. Dragon has played for Sub-Culture before a few years back, and Drunk Monk and ChaCha went over to Bangkok to play with the crew last May. This time we brough over the whole crew (Dragon, Jo Stitch and MC Sinnamon) plus Graf writer Pakorn. The crew tore up the Shelter, whilst Pakorn did some live painting behind the DJ booth (and also painted a mural down at MoGanShan Road). 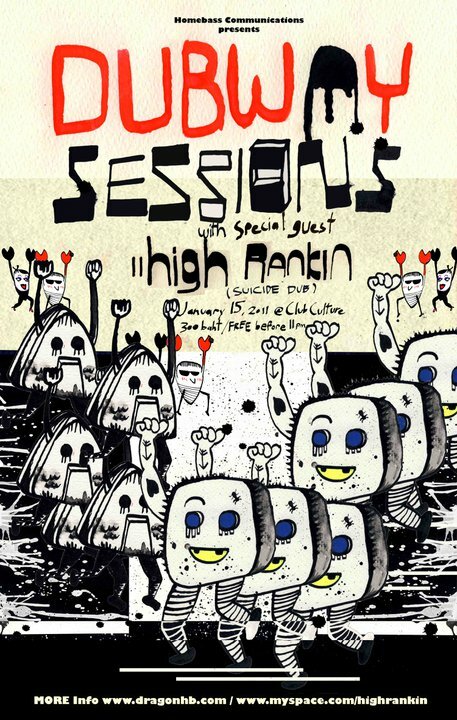 Sub-Culture should hopefully be going over to Bangkok once again in May 2011 for the second leg on the soundclash! Check out the event poster for Shanghai by Dubway artist Thun Puchpen!